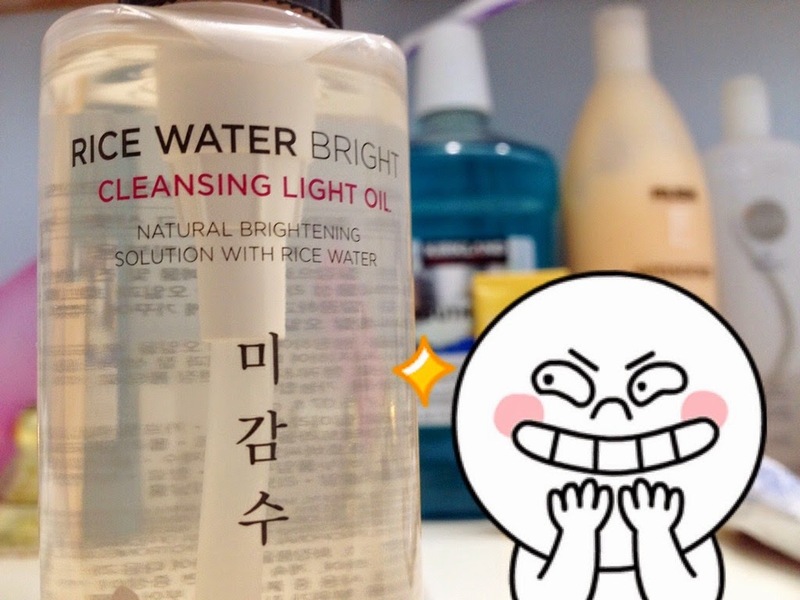 "A fresh cleansing oil for oily skin, cleansing thick makeup and impurities with light touch (contains natural rice bran ingredients, mineral oil free)"
I bought this on Jolse.com and it came within three weeks. It took them a while to ship this off which bothered me a little. I used other websites to buy skincare and they usually ship it off within two days, but this website shipped around the fifth day. This is my first time shopping on this website and I may continue to use it due to it's free shipping and generosity of samples they give. 4. Rinse hands, and without cupping them too much, bring your wet hands to your face and massage until the oil emulsifies. 5. Follow with a second step cleanser if you have one. I use this oil cleanser as the first cleansing step in my routine in order to completely remove my sunscreen. This is the first time I’ve used an oil cleanser. It has an oily texture, which was what I expected. I massaged it over my face, wet my hands with warm water, and massaged my face a little more. The water causes the oil cleanser to emulsify (becomes milky). Then, I wash it off my face completely, leaving no grease or scent behind. Because it is an oil, it kept dripping down to my arm the moment I press my hand on my face. I sometimes forget to wash my arm and the remnants show up again when I press my arm on the table while using my computer. Isopropyl Myristate : It is used as a thickening agent and emollient (in order for this oil cleanser to emulsify when cleansing. This ingredient is probably still being debated on whether or not it causes clogged pores. There has been studies which has shown to cause the formation of comedones on rabbit's ears, while there were also studies that showed otherwise. Caprylic/Capric Triglyceride : It is another emollient which is used in the oil cleanser. It's considered to be an excellent emollient and is able to repair the skin due to the mix of fatty acids that helps repair the skin's surface and prevent the loss of moisture. Linalool : It is a fragrant which has a floral smell similar to that of French lavender. It can be a potent skin irritant and allergen. Limonene : Another fragrant in the product which is an irritant. I felt hesitant about this product having this much fragrance ingredients which would be irritating to the skin and may/may not cause clogged pores. 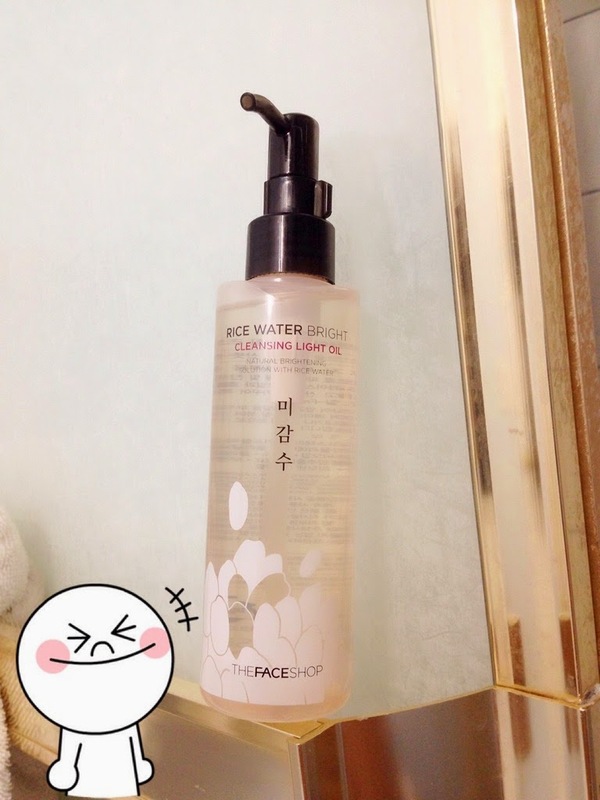 Rice Water Bright Cleansing Light Oil does contain fragrance in its ingredients. It smells like a mixture of flowers and baby powder (or rice I guess), but it's not overpowering. When I massage this into my face, I'm not choking over its fragrance at all. When you wash the product off of your face, I wasn't able to detect any scent left on my face. When I tested the product on my forearm, the scent was still apparent. It was able to moisturize my skin and make my skin smoother. This is the first oil cleanser I have used so I can't compare it to others. While using this oil cleanser for a few days, I thought it was giving me really bad breakouts on my face in areas I never broke out before. The reason I believed this made me break out was due to the ingredients in this product which could potentially clog my pores. In fact, this was not breaking me out at all, it was another product I was using when using this cleanser (Lush's Fresh Face Masks). This is the first time I have used an oil cleanser and I was satisfied with the results after the first time I used it. As I was rubbing the oil on my face, I could feel grits coming out of my skin. I focused mainly on my nose when using this cleanser, which visibly helped my nose a lot since it reduced the appearance of blackheads on my nose. My nose is usually the worst area of my skin due to all the blackheads, but thanks to this product they aren't visible (or as visible). After I finished cleansing (I followed up with a foaming cleansing after. ), my skin felt SMOOTH and bouncy. It actually felt moisturized after I finished cleansing. This has also helped me to fully get rid of all the products on my face such as stubborn sunscreen. This product claims to be able to brighten (or whiten) the face, but I would really depend on it for that reason. My face does look brighter after using it, but my face is always brighter after cleansing in general. Even though I had a positive experience with this oil cleanser, I would not repurchase it due to its potentially clogging ingredients. 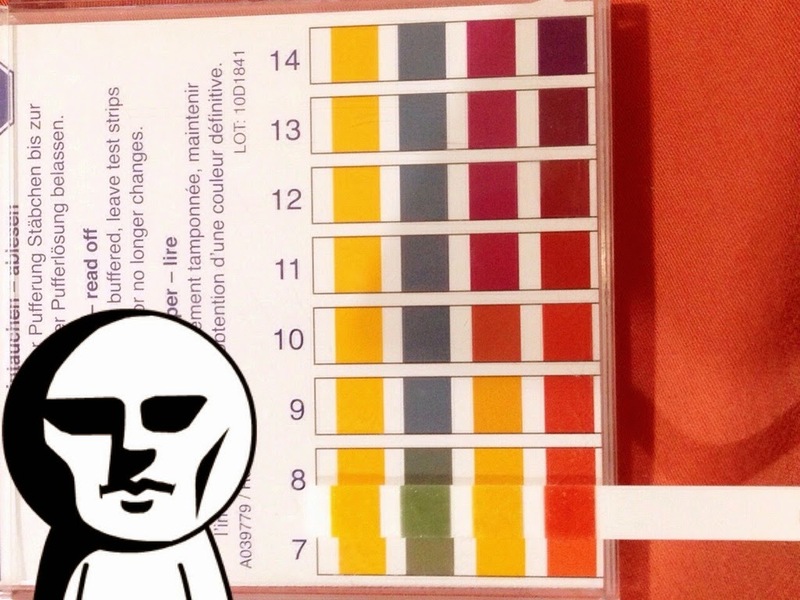 I'd like to test out different oil cleansers in order to be able to compare and contrast each other.